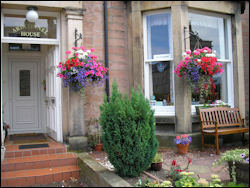 High standard of accommodation and a friendly welcome. as well as the Cuillin mountains to the south. Close to Struan Broch - an Iron Age fort visible from the house. See local wildlife and experience spectacular sunsets. 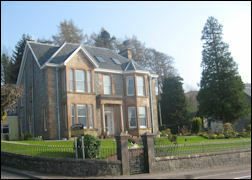 Dunvegan is 12 minutes by car. Portree 25 minutes. 1 ensuite family room (with 1 double & 1 single bed). plus whirlpool bath, shower and sauna. All with TV, radio/CD player, hairdryer, toiletries, tea/coffee. Spacious cathedral style lounge with patio. Hypnotherapy and performance coaching available. Fine Victorian town house with many original features. 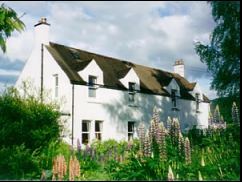 5 minutes walk from the town centre. Garden overlooking Loch Linnhe and hills. High quality furnishing and fittings. with TV, hairdryer, etc. No smoking. in their elegant Victorian home. Just a few minutes walk from the castle, shops and river. TripAdvisor Certificate of Excellence every year 2012 - 2017. Recommended by Lonely Planet and Rick Steves' Travel Guides. plus 1 single with private facilities. All rooms have TV, radio-alarm clock, hairdryer & hospitality tray. Free wireless Internet access for guests who have a laptop. Wide breakfast selection. Vegetarians catered for. (dependant on the season and type of room). No children under 10. No smoking. 300 Places to eat and shop veggie all across Scotland. Detailed listings include prices, opening times, sample dishes, website, child and dog-friendliness. 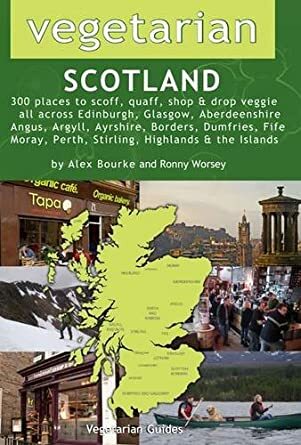 30 pages each on Edinburgh and Glasgow, with veggie map of each city. City and country veggie hotspots, highlights and top places to help you choose where to go first. Guide to vegan beers, caterers, local groups. 180 pages, photos, two indexes. Published February 2012.